Approximately 2,000 parasitologists from 100 countries are heading to South Korea for the 14th International Congress of Parasitology (ICOPA). The event will take place in Daegu city from August 19 (Sunday) – 24 (Friday). After Japan, Korea is the second country in Asia to host this event. 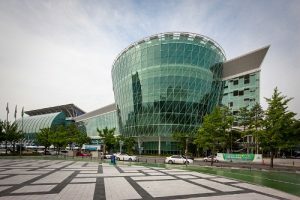 The Korean Society for Parasitology and Tropical Medicine (KSPTM) and the World Federation for Parasitologists (WFP) are the organizers of ICOPA 2018. Its theme “Parasites: Harms & Benefits to Animals & Humans” will discuss pressing issues, and exchange knowledge ranging from parasitic diseases, preventive drugs and vaccines, to recent industry developments. “Hosting the ICOPA is a great opportunity for Korea to strengthen its competitiveness in the MICE industry, and foster strong relationships between international conferences and local knowledge hubs” Jo Deok Hyun, Executive Director of Korea MICE Bureau remarked. He added that the event is expected to create a positive impact on the local economy through expenditures and job creation.